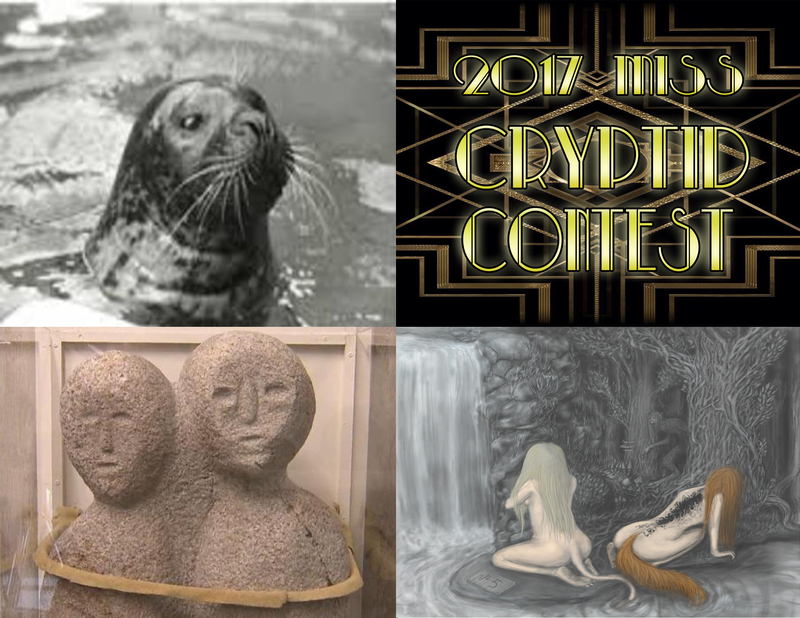 The 2017 Miss Cryptid Contest enters the final week of semi-final competition, and boy does it deliver! 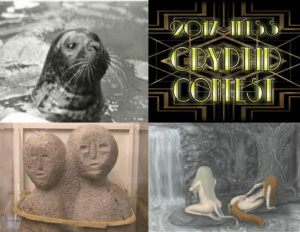 The final Miss Cryptid contestants include the Moon-Eyed People of Appalachia, New England’s own Hoover the Talking Seal, and the seductive Scandinavian Huldra. We finally get to see not only the swimsuit section, but the talent portion as well. And these strange whatsits do not disappoint. So get your wetsuits on and brush up on your manners, the last round of regular competition will be making a splash! Special thanks to Screwdriver Key for the Huldra drawing below!